It’s always good when a long weekend in the country involves enough spare time to hit a few local breweries. After our visit to Dorset earlier this year courtesy of holidaycottages.co.uk I returned with a decent haul of beers from the county, including a set from a new (to me) brewery, 8 Arch. 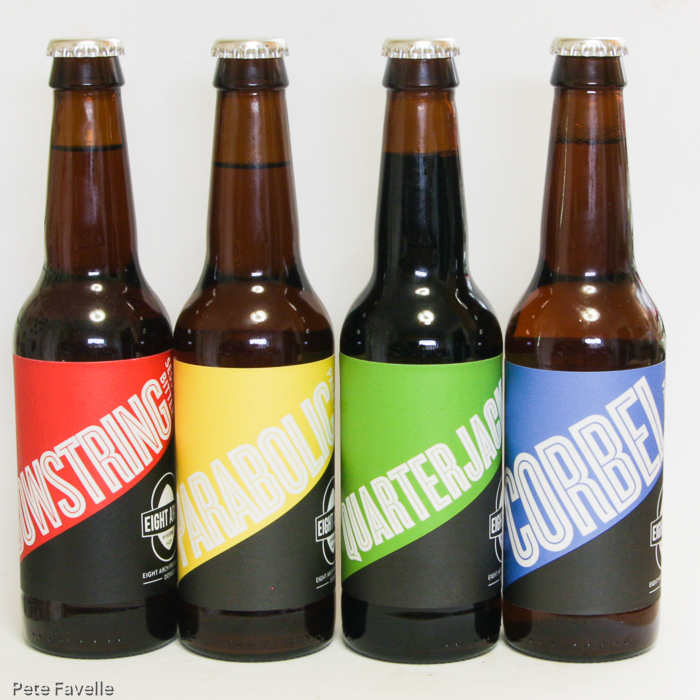 8 Arch Brewing is based in Wimborne, Dorset and is named for the local landmark of Julian’s Bridge which crosses the River Stour with an unusually long span of 8 arches. Like many small breweries, they’re tucked away on a fairly nondescript industrial estate but they’re well worth seeking out. 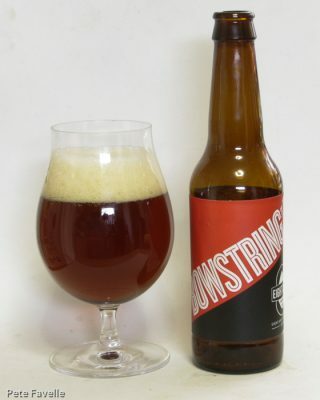 Bowstring is a 3.8% session bitter. It’s a perfect looking copper ale, with a deep, loose textured head. The aroma is earthy, full of traditional English hops and a nice backdrop of biscuity malt. In the mouth there are blackcurrant fruit flavours, with a deep bitterness and a little honey sweetness to balance it out. Nothing too wild and crazy, but it’s a very tasty best bitter. Parabolic is a 4.5% pale ale. It’s a golden ale with a nice bright white head. The aroma is wonderfully hoppy – floral notes with lots of tropical fruit in there too. In the mouth it starts out sugar sweet on the tongue, but this is quickly countered with a deeply bitter hop kick. It’s almost too bitter but just manages to stay on the tasty side of the line. Overall, a very nicely crafted hop heavy pale ale. 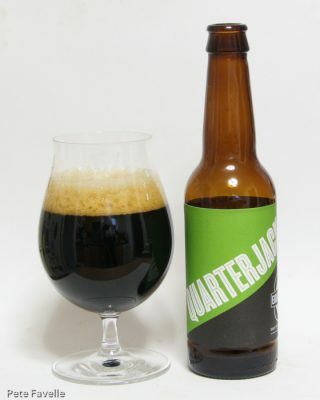 Quarterback is a 4.8% Porter. It’s a blackish brown ale with a deep, but short lived, open textured tan head. The aroma is pretty much full of toasted malt, almost to the point of burnt. In the mouth, there’s a surprisingly light body – light but in no way watery. There’s a tiny touch of sugar at the very start, quickly and delicately balanced by a soft, slightly burnt bitterness. In the background is a hint of blackcurrants, but not much else in the way of fruit. Light, easy drinking and tasty, but is it perhaps too light for a porter? 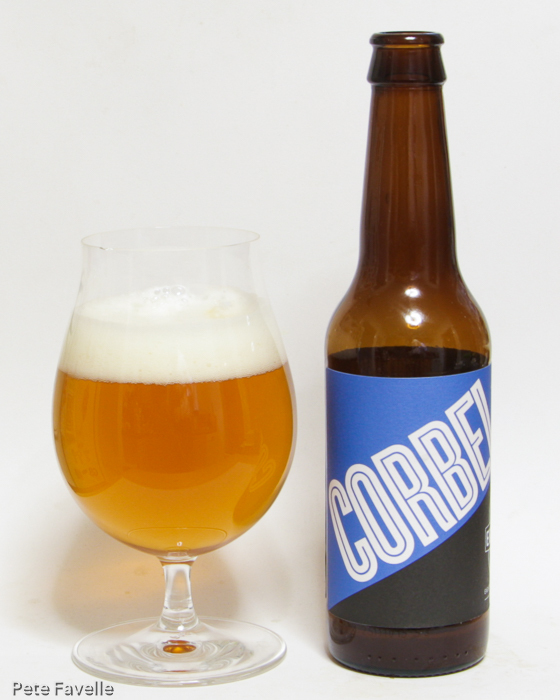 Corbel is a 5.5% India pale ale. It’s a golden ale with a thin, fine bubbled head. 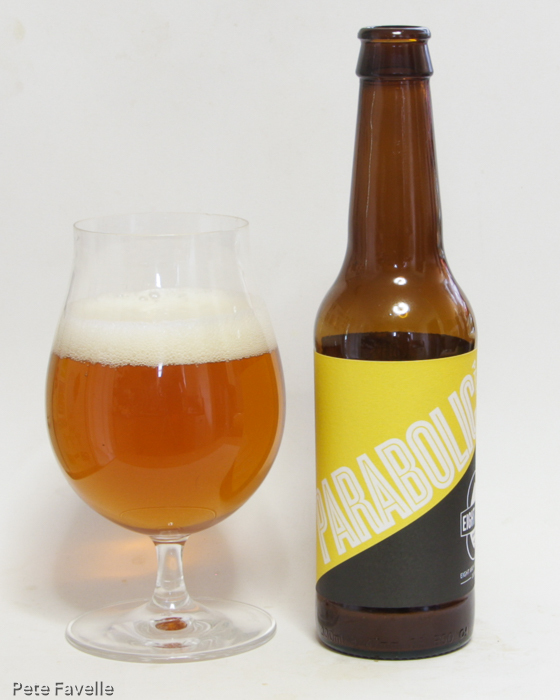 The aroma is wonderfully hoppy – floral and full of tart citrus fruit, with a belt of passion fruit lurking below that. In the mouth it’s rich and sweet, with passion fruit and a sticky sugar syrup that is slowly – very slowly – countered with a deep, resinous hoppy bitterness. Delightfully balanced, it doesn’t pack quite the punch of the best IPA but it comes wonderfully close. As my tasting notes say – Yum! Overall it’s a decent collection of beers, covering both the traditional and the more ‘crafty’ side of beer. Definitely one to seek out when you find yourself in that part of the country.